box&rox™ is a technology company set up in 2013 and dedicated to developing products and services to help parents give their children healthy lives. Our first product (inspiring the company name) was launched at Technopop London 2014 and on kickstarter (http://kck.st/1xmOMo6). The motivation for this product was my concern, as a prospective parent, over the increasing imbalance in the opportunities in children’s lives for an active or for a sedentary lifestyle. The goal of the box&rox offering was to help 5-9 year-olds to lead more physically active lives and so build a platform for a healthier adulthood. 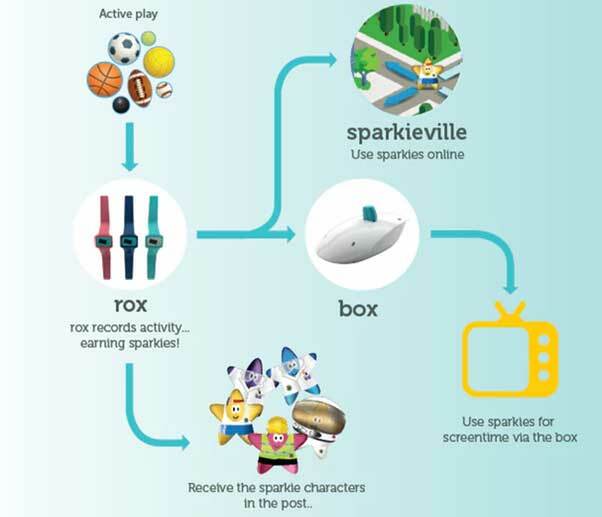 In tandem with this, box&rox would provide support to parents to engage in a conversation with their children regarding the balance of “screen-time” and physical activity. Having received a fantastic reaction to the initial concept from many parents and children alike, I decided to bootstrap the product development. This was, in hindsight, a mistake as this extended the hardware development to over 4 years and during this time the way children consumed screen time migrated from a PC/TV to tablets (with the launch of the iPad). Whilst box&rox was still fun and very cool the rapid uptake of tablet usage in young families side-lined the main benefit of the box and the rox. The Kickstarter campaign was unsuccessful and I decided to listen to the market and think again. Was true to the values of box&rox using technology to support the relationship between children and their parents and immediate community. Would tackle a real concern that I had bringing up my children in the early 21st century and so helping other parents like me. I developed the concept of the first of the next generation of Social Media. blinx was born! 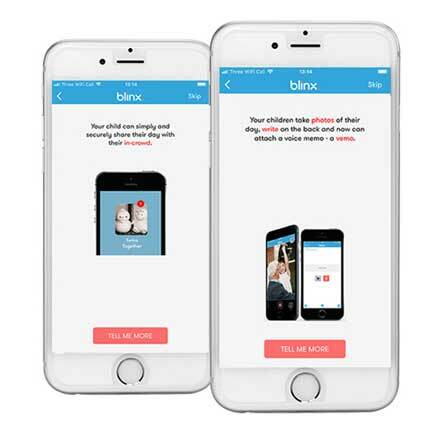 blinx is the only safe, secure, dedicated and invitation only app that helps families to capture & organise memories by taking pictures, adding captions & vemo and then to share them with their in-crowd. Safe: You will only be able to include contacts already in your phonebook in your in-crowds. We only act as a “post box” and your content is only stored on your or your in-crowd's phones. There will be no lasting digital footprint on the web. Secure: All messages and content are sent via SSL protocol encryption. Dedicated: The blinx app has been designed from the outset to help families capture, organise and share memories. This is all we do. Invitation only: You and your child can only post to people who you have either invited to join your in-crowd or you have accepted an invite to join theirs. Keeping it family. "One mum wanted to know what adventures her daughters had been on during the day. She wanted to know whether they had enjoyed the puddles and the rainbows that rainy afternoon. Two young girls, whose life and thoughts moved very quickly, wanted to try and remember the escapades of the day to share with their mum. One decided to blink her eyes and make a "picture" when she was "making a memory for mama". The other one called this a blinx. Very soon, Mum looked forward to chatting with her daughters and sharing in their blinx that day. One dad thought many families would enjoy this - so he built an app and called it blinx." For more information and to download the blinx app please visit www.blinxbooks.com. You can also contact box&rox at hello@boxnrox.com.